While LG's mobile division has been struggling to turn a global profit for quite some time now, the Korea-based company is still selling a decent number of smartphones in key markets like the US. Thus, it was pretty surprising to see the G7 One and G7 Fit released in various Asian and European regions last fall, but not stateside, where LG is the third most popular handset vendor. What might be even more surprising is that the upper mid-range LG G7 Fit has finally seen daylight after all this time in the US with little to no fanfare. The Snapdragon 821-powered 6.1-incher is exclusively up for grabs at Best Buy for $429.99 unlocked. While the retailer fails to list the carriers this device is supported on, LG's official website mentions both GSM and CDMA connectivity, which means you should be able to get it to work with everyone from AT&T and T-Mobile to Sprint and Verizon. 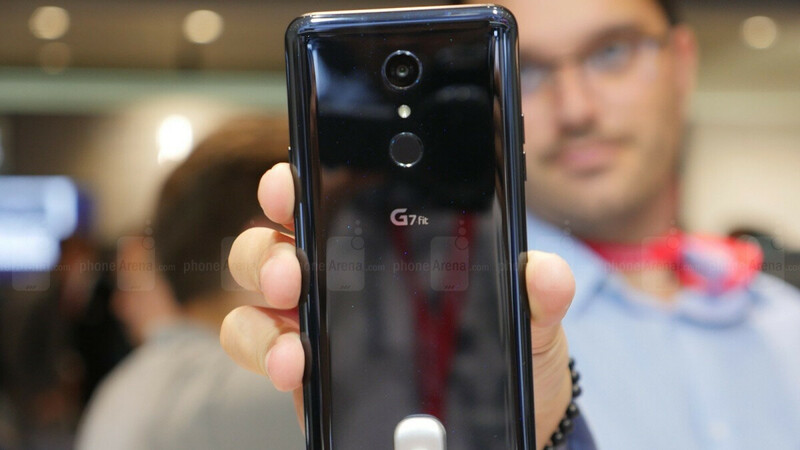 As the name suggests, this bad boy is closely related to the high-end G7 ThinQ. In fact, the two look practically identical on the outside, which is not necessarily a bad thing... as long as you're willing to embrace the notch. The G7 Fit is made almost entirely from shiny glass, with its 6.1-inch IPS LCD screen also capable of a rather impressive (for this price bracket) 3120 x 1440 resolution. Of course, the 3,000 mAh battery size is hardly remarkable, even by mid-range standards, with a mediocre 32 gigs of internal storage space on deck as well. Unlike the G7 One, this is not a member of Google's stock software-powered Android One club, still running the archaic 8.1 Oreo OS version out the box. Other unimpressive specs include a single 16MP rear-facing camera, 8MP selfie shooter, and a conventional rear-mounted fingerprint scanner. But a bunch of premium audio features (Boombox speaker, Quad DAC and all) almost make the quality/price ratio seem fair. After all, that Snapdragon 821 processor might be old, but it's still faster than, say, the Snapdragon 636 found inside the similarly priced Sony Xperia 10 Plus. Besides, Best Buy is advertising a discount of up to $100 with "qualified" activation, which oddly enough, is not available just yet. Then again, the actual, original LG G7 ThinQ has been on sale multiple times lately, fetching as little as $430 unlocked. So, yeah, all in all, it sounds like the LG G7 Fit badly needs that discount... and then some. This is another disappointing release from LG. I don't really see why they bother trying anymore. Surprised this was released here. Some braniac explain WHY TF no one releases a phone not as much as a $200k mortgage payment with 6gb of RAM and a snappy processor EVERY IDIOT ON EARTH DOES NOT NEED 5 CAMERAS. FACIAL RECOGNITION OR FINGER PRINT SENSORS. HOWRVER 4gb of RAM IS an obvious deal breaker with loading LOT O APPS DUH!!! !